You know what they say: little things can make a big difference. If you sit down and list them, there are lots of parallels between last weekend's slightly tepid affair at Yeongam and what awaits us this weekend. We're still in the extended final acts of a long season, wherein we appear to be in a state of drift, with the destination of title honours seemingly inevitable and most competitors now focussing on 2014. Like Yeongam the track is in a remote location. Like then, we will be racing at a track at which Sebastian Vettel on form is close to unbeatable, and for this reason and others even in advance of cars setting rubber on tarmac for first practice the chances are that only the very unusual will deny him victory. Like a week ago too the race might not be choc-a-block with overtaking. And yet it could hardly be more different: as this weekend we'll be at Suzuka. 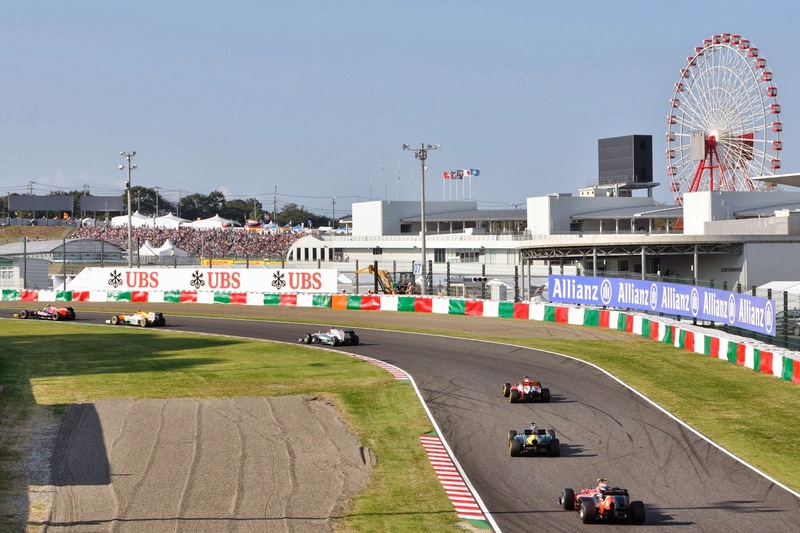 Ask any driver, or any fan for that matter, about their favourite circuits and for most Suzuka will be ranked as among the very best of the very best. Little wonder too: the layout is dominated by rapid, challenging and snaking turns, the sort that separate the great from the good, the sort that would most likely be laughed out of court were they proposed from scratch these days, the sort that remind the real racers why they got into the sport in the first place. Very much unlike the modern circuit type there aren't vast expanses of run-off areas for drivers to veer into on their racing line and to use as a benign get-out if they get it wrong. Therefore precision at Suzuka is vital and even a slight error can end your chances. Combine this with, very much unlike Yeongam, the large and enthusiastic support in attendance (they're respectful too, unlike some of the behaviour in evidence this year) and you can see why the fraternity approaches the weekend in a much more glad state of mind than they did seven days ago. What's more, Suzuka has an inimitable well-worn and comfortable quality, almost like an old pair of slippers. Indeed, I always reckon it seems a bit wrong that F1 didn't first pitch up here until 1987 - it feels rather like Fangio and perhaps even Nuvolari should have pushed their machines around here in ages past. Somehow even in the era of the Tilkedrome Suzuka remains refreshingly shorn of modern sterility; perhaps the changing of the world around it has only served to make its charms more distinct. 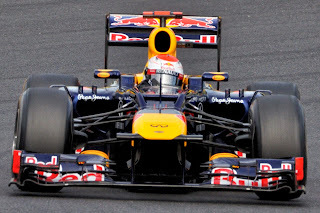 As mentioned, we again approach the race weekend this time with Vettel and Red Bull looking very hard to stop. And not for nothing: not only has Seb barely been headed in the past four rounds, he's also qualified on pole on each of the last four Suzuka visits as well as won three of them (only missing out on the other when in-race tyre blistering was unexpectedly high). As seems to be the case for most tracks on the schedule in this part of the year, Vettel has made the place his own. High speed corner stability as well as good all round grip and lots of downforce required for Suzuka are just fine for the Red Bull, while Seb's precision and verve is similarly apt. Seb of course, can clinch the drivers' championship this weekend, and Suzuka is a track that has had an uncanny knack of being the scene of title resolutions. Further, even with the championship nearing there is little reason to think he will relent. He appears to prefer not to cruise to titles rather than to speed towards them like a heat-seeking missile. When in 2011 he confirmed the crown with a mere third place he gave the distinct outward impression that this had irked him. Just like seven days ago, it seems only the unusual will stop him winning the race at least. 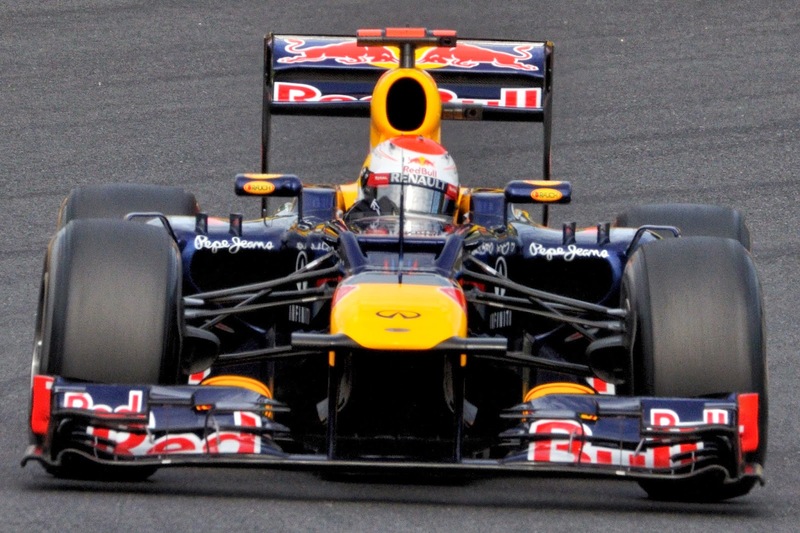 As for Mark Webber, without a grid penalty can he at last get on terms his his team mate? Well, on the debit side he hasn't done so for a while. Plus his previous at Suzuka when paired with Seb has been to be close, but never quite on, Vettel's pace. 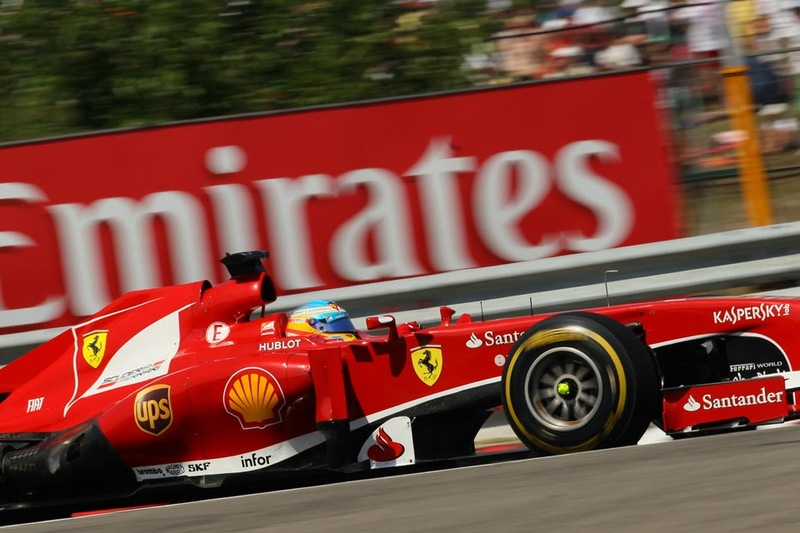 But while Vettel is a rightful favourite, others may have some cause for optimism. 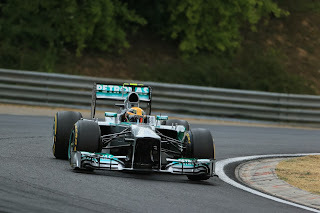 Both Mercedes and Lotus tend to go well in high speed turns too. With Merc, in the similar challenges at Silverstone Lewis Hamilton took pole of course and probably would have won but for a puncture. 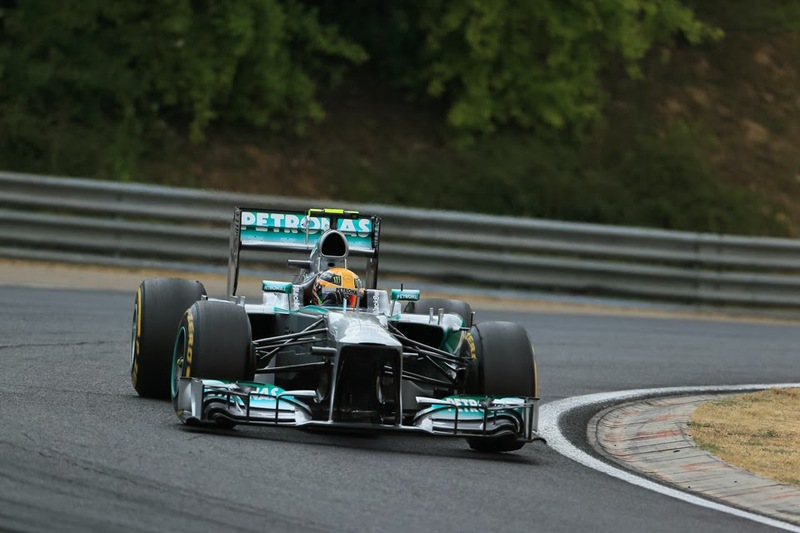 While Nico Rosberg did win after a dud gearbox stopped Seb. Nevertheless, the team's in-race strategy has been rather iffy in the last two rounds and you feel rather than it can't afford to tread on its own tail again if it wants to usurp the Seb juggernaut. Lotus meanwhile was best of the rest in Korea on race day, and the E21 will be another to suit the Suzuka sweeps. And of course these days there are two Lotuses to think about, Romain Grosjean being resurgent in the second half of this season and often being quicker than team mate Kimi Raikkonen; markedly so in qualifying. Surely his debut win isn't too far away? And however absurd it would have sounded a few weeks ago, Sauber is a team that has been somewhere in this mix in recent rounds, and encouragingly for the Swiss squad it's been so at three tracks with very different demands. Still, Suzuka seems something else compared even with them. One constant of Sauber's recent upsurge is its stupendous rear grip and traction (its exhaust solution looking very neat). At Suzuka that's perhaps less of an advantage: it'll help accelerating out of the hairpin and chicane as well as around the long corner at Spoon, but in the vital first esses part of the lap understeer is what you want to avoid. It remains to be seen if Sauber can compromise its set-up accordingly. Let's not forget that local favourite Kamui Kobayashi finished in a fine third place here for Sauber on the last visit. And, given the reaction of those in attendance then, that there's no local driver or manufacturer taking part this year seems a terrible pity. And while to many Sauber means Nico Hulkenberg, sight should not be lost of the fact that Esteban Guiterrez has also been getting the hang of this F1 business in recent weeks. Indeed in Korea he qualified well and having been disastrously bumped down on lap one recovered to come oh-so close to claiming his first championship point. alive mathematically, but what more can he do? It might tell us something that I've got this far into the preview before I mention the one who has the best chance (a relative term) of stopping Sebastian Vettel seizing the drivers' crown this year. This is Fernando Alonso, and while he's up to the task as ever it seems to be the case that his Ferrari hasn't been recently. The Prancing Horse looked particularly reluctant in Korea, especially so in the fast corners which seem the best yardstick for Suzuka. But for most of the year it's been the Ferrari's rear that's been the first end to give up, so Suzuka might not show it up too badly. And whatever the case you'd think that, again barring disasters, Alonso will at least keep the championship alive (mathematically) for two more weeks, requiring only eighth place to do so if Vettel wins as expected. Given Suzuka doesn't especially lend itself to overtaking strategy will likely be vital on Sunday. Like Korea, it'll most probably be two stops all round but with enough flexibility to three-stop if tyre wear is higher than expected. Pirelli after its Yeongam gay abandon has gone conservative again, with mediums and hards available. But as mentioned blistering has been a problem at Suzuka in the past, and will be worth watching again. But this is Suzuka: most things will be worth watching. Despite everything.